Colors are bursting in the sky and your daughter is running around laughing. Your cousin is watching the sky and has not noticed the box of roman candles that fell over and shot into the tent full of neighbors camping out in an adjacent backyard. About Faces is thinking ahead - how can you make memories like these all summer long? Plan the entertainment for your July and August festivities now. With over six and a half thousand entertainers nationwide to choose from, About Faces is the place to go for your entertainment. Party hard this Fourth of July, and don't let your uncle blow up the house with fireworks! Everything turned out great!!! 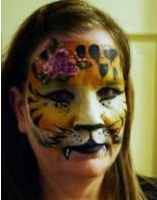 We were very happy with the face painter. We would definitely book her again!! Thanks for everything! 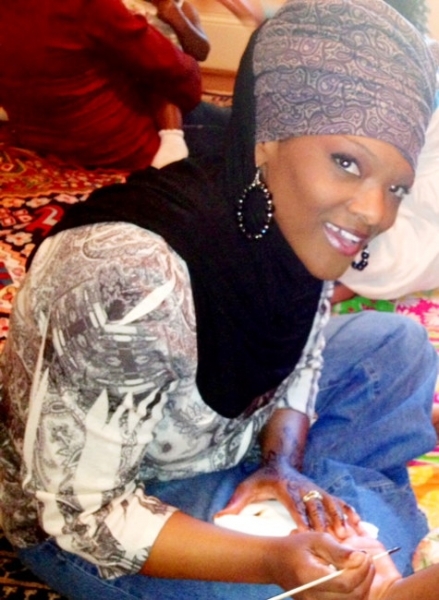 I wanted to thank you again for the [henna] artist [Naaila A] that you provided for our event. Naaila did an excellent job. Whenever the need arises we will surely call for artists. Thanks again! ... so make sure to check out these excellent entertainers' pages! To save time, don't bother looking both ways before you cross the street on your way to the beach. Just hope for the best and go for it. 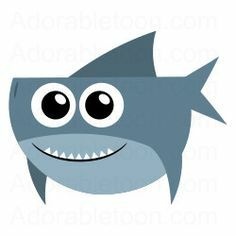 If you see a gray fin swimming towards you, ask it if it wants to be friends. Stay hydrated by swallowing as much ocean and pool water as you can. Reapply sunscreen with an SPF of at least 3 every one and a half weeks. Don't waste energy in the heat by talking to your friends. Instead, learn Morse Code and communicate by tapping your finger or blinking. Disclaimer: About Faces is not liable for any damage or injuries that may result. This list is a work of humor. Interested in hiring entertainment? Book now by calling 1-800-92-FUNNY, clicking on the link in my name, or replying to this email. Enjoy your celebration with About Faces!